The accommodations in the Roanoke Valley in Virginia&apos;s Blue Ridge Mountains provide a wonderful place to relax and refresh. Whether you are looking for a waterfront view, charming room in the heart of downtown, or quiet retreat in the mountains, these specials and packages offer a variety of experiences. Many of the properties in the region partner with local attractions and organizations to create packages that match your interests. You could book your room and receive admission to a museum, dining gift certificates, or tickets to a performance or special event. 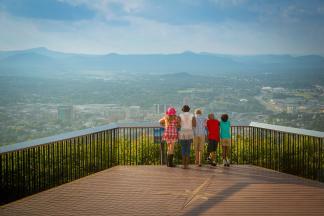 We also invite you to learn more about our exclusive Virginia&apos;s Blue Ridge Vacation Packages! With these specials and packages, you can enjoy the luxurious accommodations of Virginia&apos;s Blue Ridge Mountains while staying on a budget. Please check this page often as our deals are regularly updated. Take advantage of a variety of fun free things to do!